Ghost. Patina. Sunny. Lu. Four kids from wildly different backgrounds, with personalities that are explosive when they clash. But they are also four kids chosen for an elite middle school track team—a team that could take them to the state championships. They all have a lot to lose, but they all have a lot to prove, not only to each other, but to themselves. 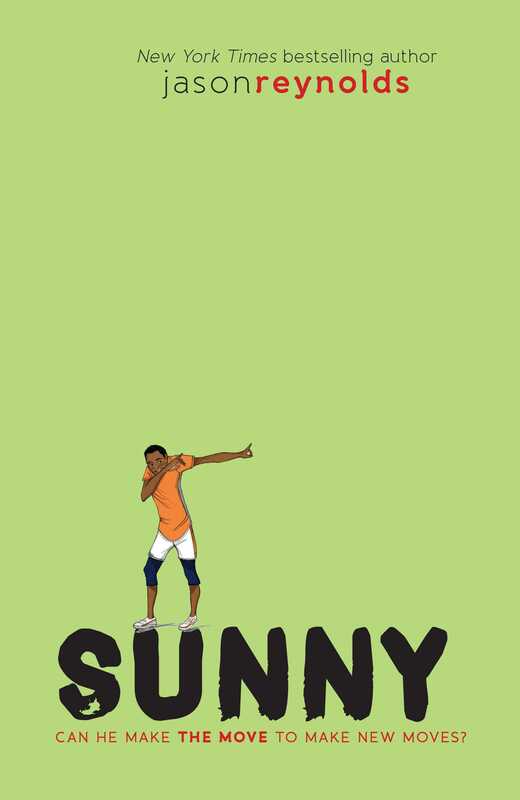 Sunny is the main character in this novel, the third of four books in Jason Reynold’s electrifying middle grade series. Sunny is just that—sunny. Always ready with a goofy smile and something nice to say, Sunny is the chillest dude on the Defenders team. But his life hasn’t always been sun beamy-bright. You see, Sunny is a murderer. Or at least he thinks of himself that way. His mother died giving birth to him, and based on how Sunny’s dad treats him—ignoring him, making Sunny call him Darryl, never “Dad”—it’s no wonder Sunny thinks he’s to blame. It seems the only thing Sunny can do right in his dad’s eyes is win first place ribbons running the mile, just like his mom did. But Sunny doesn’t like running, never has. So he stops. Right in the middle of a race. With his relationship with his dad now worse than ever, the last thing Sunny wants to do is leave the other newbies—his only friends—behind. But you can’t be on a track team and not run. So Coach asks Sunny what he wants to do. Sunny’s answer? Dance. Yes, dance. But you also can’t be on a track team and dance. Then, in a stroke of genius only Jason Reynolds can conceive, Sunny discovers a track event that encompasses the hard beats of hip-hop, the precision of ballet, and the showmanship of dance as a whole: the discus throw. But as he practices for this new event, can he let go of everything that’s been eating him up inside? Sunny has never celebrated his birthday; that’s because the day he was born was the day his mother died. For as long as he can remember, his father has taught him to run. His father’s instruction lands him on the Defenders track team, with one goal in mind: to win the first-place ribbons his mother never got to win. But lately, running has made him feel like he can’t breathe. As much as he does not want to disappoint his teammates and Coach, it’s time to stop running and start living his own life. 1. Sunny tells his diary, “You take the hunger-growl out of my mind.” How does writing in his diary help Sunny work through the things that are bothering him? What do you do when you feel like Sunny? 2. What makes Sunny decide to start walking on the last lap of his race? 3. Why did Darryl teach Sunny to run track? Do your parents expect or encourage you to do something like play a particular sport or musical instrument? How do you feel about it? Do you love anything the way Sunny loves dancing? 4. One of the book’s themes is the idea of choosing not to run, both literally and figuratively. In the beginning of the book, what have Darryl and Sunny been running from? What position are they in by the end? 5. How did Sunny’s mother die? What do you think she would say about Sunny’s decision to stop running? 6. When we talk about literature, we say that characters who change over the course of a text are dynamic characters. Which characters in Sunny are dynamic? Explain how and why these characters change. 7. What do you think about the way Sunny is homeschooled? Would you like to learn this way? Describe his relationship with Aurelia. Why is she so important to him? 8. Why do you think Coach finds a way to keep Sunny on the track team even after he stops racing? 9. Why doesn’t Sunny call Darryl his dad? At one point, he addresses his diary entries to his father. Find these entries and reread them. Why do you think he writes these specific entries to Darryl and Dad instead of “Dear Diary”? 10. Talk about the scene where Darryl apologizes. Why do you think it is so hard for Darryl to tell Sunny that he’s sorry? How does the apology impact their relationship? What do you think might have happened to their relationship if Darryl had never apologized? 11. The name of Sunny’s track team is the Defenders. What does the word defender mean to you? How do members of the team defend each other? 12. What is the significance of Aurelia’s star tattoos? Why do you think she draws a star on Sunny at the end of the book? 13. Jason Reynolds has decided to end each of the books in this series without letting the reader know the outcome of the competition. Why do you think he chooses to end them this way? What do you think happens after the book ends? 14. Sunny’s parents met when they were Sunny’s age, and they made plans for how they wanted their lives to play out. Have you thought about your plan for the future? Where do you want to be in five, ten, fifteen, and twenty years? Sunny’s parents chose to invest their time, money, and energy in things that would help them achieve their goals, a concept that Sunny’s father called ROI (Return on Investment). Where will you need to invest time and energy in order to achieve your goals? 15. Sunny and Aurelia dance for patients in the hospital to cheer them up. What are some of your special talents? Can you think of a way that you could use your talents to give back and help others in some way? 16. One of the motifs in Sunny is the armless statue. Why do you think Darryl finds it so difficult to physically touch his son? When he finally does hold Sunny, Sunny writes that they are “Ships, finally docked in the night.” What do you think this metaphor means? 17. Another motif in Sunny is the idea of not being able to breathe. What do you think breathing symbolizes in the book? Look at all the times that Sunny struggles to breathe. In each case, what helps him to feel better? 1. In his own quiet way, Darryl uses puzzles made out of photographs of Sunny’s mother to share memories of his wife with his son. Share some of your favorite photographs of yourself and your family, either digitally or in a scrapbook. Include the stories behind the photos that you chose. 2. Throughout the novel, Jason Reynolds uses poetic devices like onomatopoeia, similes, metaphors, and alliteration to tell Sunny’s story. Find examples of poetic devices in the novel, and then try writing your own story or journal entries incorporating some of those same poetic devices. 3. Baraka, the movie that Sunny sees with Aurelia, is a real film. As a class, watch the movie and then discuss your own thoughts and feelings about it. Why do you think this film made such an impression on Sunny? 4. Sunny captures the sounds of life and movement of dance using language. Research the movement known as Jazz poetry, especially the poetry of Langston Hughes, to find examples of the way that language can capture the rhythm, movement, and sound of music and life. Write your own poem in this style. You might consider describing a sport, dance, or even a school bus ride or other crowded place. 5. 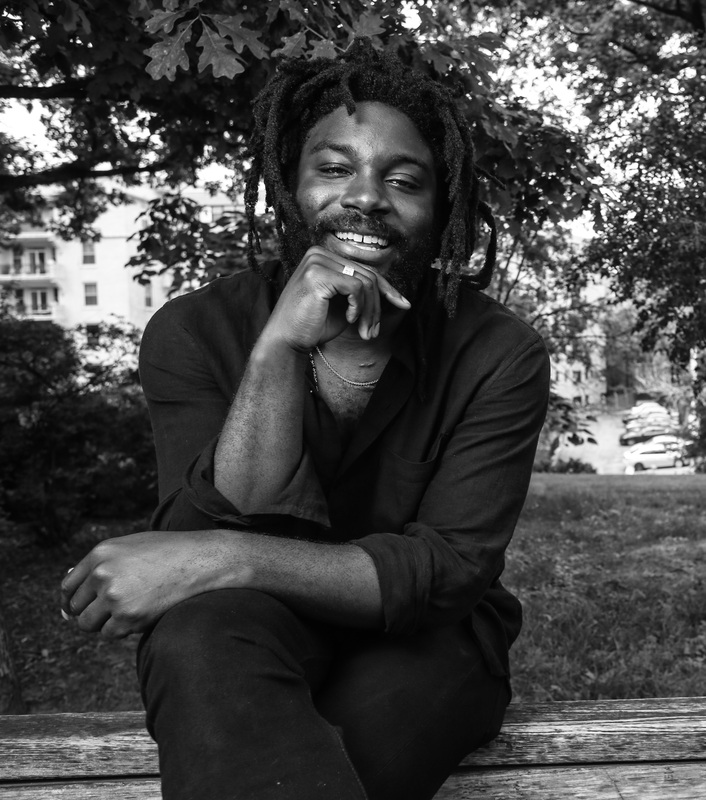 Read one or more of the other books in Jason Reynolds’s Track series, and then try writing a response to the events in Sunny from another character’s point of view. What would they think about Sunny’s decisions? 6. In one of his diary entries, Sunny uses an outline, chart, and graph to illustrate how he feels. Try making a series of infographics about yourself. 7. When Aurelia begins teaching Sunny to dance, she mentions Alvin Ailey. Research Alvin Ailey and watch videos of some of the Alvin Ailey American Dance Theater’s performances. What was revolutionary about Alvin Ailey? Like all art forms, dance can serve many purposes: to entertain, to inform, to express emotion, and even to protest or raise awareness. Research another dance movement or dancer who revolutionized dance in some way, and share your findings with your class.